The sun was still bright out here in Bangalore by the time I went for a walk. January brought with it a few nights of cold and then, before you know it, an almost-summerish feel to the day. The beautiful Tabebuia trees are already in bloom, and I even spot mangoes in the local organic store. Even the grass that crunches under my feet seems slightly jaded, waiting for a little touch of rain. Yet, despite the slow, dissipating heat, it feels good to be out. The air is still, but the sun feels nice on my back as I roam around inside the walls of the apartment complex I stay in. I am on the phone, talking to a friend about a dream I had had the previous night when I spot him. Tall, dark, and exquisitely handsome. His glossy coat and the car almost match. A pigeon. 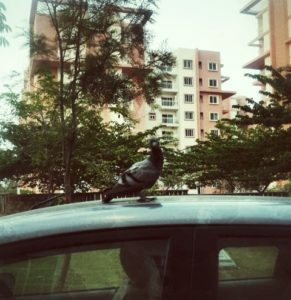 Just one solitary pigeon perched on top of a Honda Civic. Now, pigeons I don’t like much. To me, they are predatory birds that have driven out my beloved crows and sparrows from Bangalore. Sorry, Ms Pema Chodron, I can’t seem to extend compassion to pigeons and leeches! Now, I spot this fellow. And what’s he doing? Absolutely nothing. It looks like he is just waiting. He shows no sign of moving. And has not even the slightest fear. Closer and closer I come until I am almost within touching distance. He is entirely unperturbed and, instead, looks somewhat irritated. For a reason I can’t fathom, the notes of a poem waft into my mind. “Hurry up, please, it’s time!” from TS Eliot’s ‘A Love Song For Alfred Prufrock.’ My day is ending. Perhaps, his work is also done for the day? All that a pigeon wants to do is just get back to the nest. And so, here he is, and what does the good pigeon get? A car without a chauffeur. Life is unfair, I nod in understanding to the pigeon. We all have to wait. Wait for others to come. Wait for others to leave. Wait for a job. Wait for our salary. Wait for the love of our life. Wait for the divorce. Wait for the tea. Wait for the lunch. Where can we hurry up, Mr Alfred Prufrock? Isn’t life an interminable case of ‘Waiting For Godot?’ “So, you wait some more,” I whisper to the pigeon. He doesn’t seem to like my advice. I laugh as I take one last glance at the pigeon. 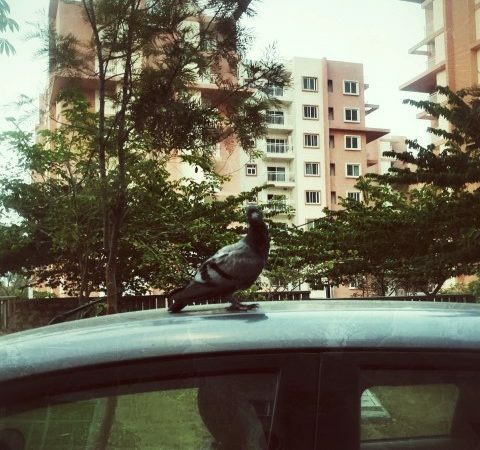 Somehow, a pigeon that can fly is stuck waiting for the car. Aren’t we all like that? What wings have we forgotten to use? It reminds me of a picture that someone had once sent me during those days I was on WhatsApp. 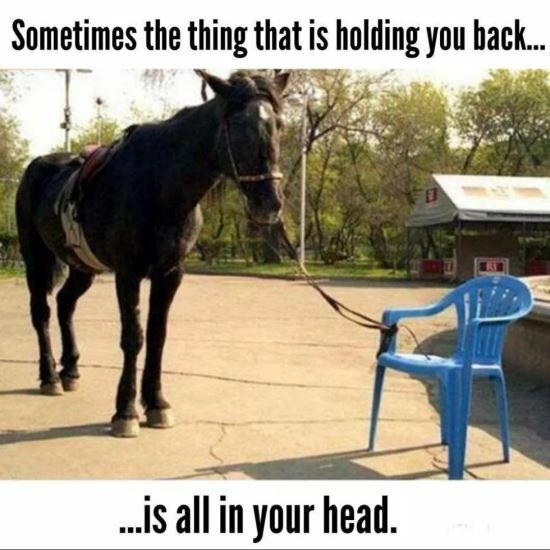 We are like that horse. We are like this pigeon in my imagined tale of his waiting. We spend our lives waiting. And our wings die waiting…unless…you unfurl them. May you not wait to unfurl those. I sometimes feel that it’s all our fault. We want too much. We are never content. And so we wait,-for a better job, more money,better health,marriage – the list is endless and like Godot, we tend to forget what we are waiting for. Absolutely Poodle. The thought of being content – we are always in a rush thinking that happiness awaits us once we do this, get that, achieve this, be there. Sigh. It’s amazing how much we wait for so many things to happen that we just forget about the now. No one better to learn from than you. :-). You epitomize living in the moment. Almost to a fault. But then, grin, who is to blame you apart from me?